What is Improper Equipment in NC? Does improper equipment carry points in NC? ​Improper Equipment is a non-moving violation and carries no insurance or DMV points in North Carolina. Improper Equipment is simply an infraction like a broken tail light or speedometer, hence you plead “responsible” instead of “guilty.” Aside from a dismissal of the original charge, improper equipment is usually the best outcome in a traffic case. Is improper equipment a moving violation? Improper equipment is a non-moving violation. If you plead a speeding ticket down to improper equipment the amended charge will appear on your DMV record instead of speeding. Will improper equipment raise my insurance? ﻿Improper Equipment carries no insurance or DMV points. That being said, some insurance companies count Improper Equipment, Prayer for Judgment Continued (PJC), or an accident that was not your fault as a "NCI" or non-chargeable incident. They then use that NCI to bump you into a higher risk pool with higher premiums without technically assessing a surcharge due to insurance points. This appears to a complete end-around of the statute below that states Improper Equipment is not supposed to result in points or a premium surcharge. What if nothing is wrong with my speedometer? 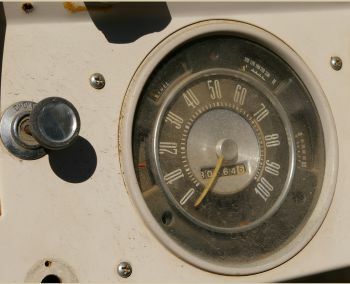 ​A common misconception is that improper equipment is only offered to those with a broken or miscalibrated speedometer. This is simply not true- what matters the most is (1) the speed at which you were charged and (2) your driving record. In fact improper equipment is routinely given for non-speeding offenses such as: (1) running a stop sign or stop light, (2) reckless driving, (3) left of center, (4) unsafe movement, (5) and sometimes even driving without a license. Simply stated- because the State gets paid. In fact there in now a $50 surcharge for improper equipment that goes directly to the local county. Total court fees for improper equipment generally range from $263 -$338 depending on the county and District Attorney. If the State were to simply dismiss your case then they collect no money. Usually there are requirements that you have a good driving record and not have been speeding excessively (NC statute prohibits a reduction to either an improper equipment or a PJC for speeding more than 25 mph over the limit). The other reason reductions of some sort are usually offered is the same reason plea bargains are usually offered in all criminal cases. If everyone asked for a trial the system would grind to a stop. ​Does improper equipment appear on a NC driving record? ​Yes- thanks to a Charlotte Observer newspaper story a few years ago “exposing” how repeat offenders were able to receive multiple reductions to improper equipment and the State had no way to know because improper equipment did not appear on a DMV record. Now it shows- but it still does not result in insurance or DMV points. The State is now less likely to offer you repeat reductions to improper equipment after viewing your record. ﻿Do I need an attorney to get improper equipment? Technically no, but it ultimately depends on the Assistant District Attorney you speak with in Court. If you hire an attorney and qualify for a reduction to improper equipment, the attorney usually can handle the case without you appearing in Court. Call us for a free phone consultation with an attorney to see if you qualify for a reduction to improper equipment and avoid the applicable insurance and DMV points associated with your original charge. How much does an improper equipment ticket cost in NC? The fine for improper equipment in North Carolina usually varies from $263 - $338 depending on if you have a Mecklenburg County ticket or Union County ticket. This amount is likely more than the printed fine on your ticket as there is a $50 surcharge for a reduction to improper equipment. The actual breakdown is $188 Court fees, $25-$100 as a fine, and the $50 surcharge that goes directly to the County for the reduction to a non-moving violation. Procedures and requirements vary by county. The elected District Attorney in each county sets his or her own policy to obtain this reduction. Mecklenburg County usually requires a good driving record and not be charged with going more than 18 mph over the limit. Union County is a little more relaxed and sometimes will allow a reduction when going up to 25 mph over the limit. Check with an attorney in the county where you were charged to figure out your options. (a) Every self-propelled motor vehicle when operated on the highway shall be equipped with a speedometer which shall be maintained in good working order. 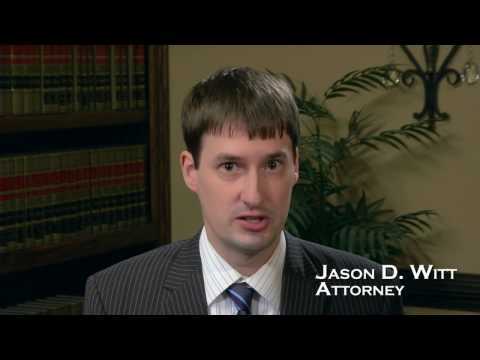 "Great experience, yet again, in retaining Jason Witt to handle a traffic violation. I appreciated his timely responses and ability to answer all of my questions."